Find out how Kubernetes as a Service might be able to make your DevOps life much easier, and how to get started, in this tutorial. DevOps teams are increasingly looking toward Kubernetes as a scalable and effective way to package application containers of all sorts. However, while Docker and Kubernetes have paved the way for the container and microservices revolution, there is still plenty of room for innovation. The strength of the Kubernetes tool lies in its ability to blend the simplicity of Platform as a Service with the stability of Infrastructure as a Service software. This gives developers a flexible open source tool to build personalized Kubernetes workflows. But that flexibility leads to a challenge. As the Kubernetes open source community expands, many DevOps teams need to create more streamlined and automated processes that can tackle new deployment challenges. They need Kubernetes as a Service (KaaS). From microservices to pod and controller management, let’s explore what every KaaS-curious DevOps team should know about this web tool. What Is Kubernetes as a Service? Source: Google Cloud Platform Blog: Container Cluster. 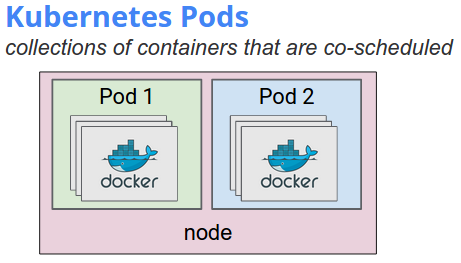 Kubernetes starts with the pod. A pod contains all the storage resources you will need to run a container application, or multiple containers, as well as a unique network IP and operation options. This gives teams lots of flexibility but it also creates a new challenge: Pods don’t live forever. Even though each pod receives a unique IP, those can’t provide reliable network stability over long periods of time. This presents DevOps teams with a unique problem when using Kubernetes. How do you ensure the stability of their application’s essential “backend” pods so their supported “front end” pods remain functional? That’s where Kubernetes as a Service comes in. KaaS is the method how your team should organize, or service, pods and the policy by which your team accesses them. Often called a microservice, this organization depends on a variety of unique variables. From the size of your team to the traffic your application services, KaaS processes can be flexibly designed to suit your team’s needs. What's the Difference Between KaaS and Kubernetes? For developers looking to build Kubernetes-native applications, KaaS offers simple endpoint APIs that update as your specified pods change. For other non-native applications, Kubernetes provides a virtual-IP-based bridge to your service and redirects your team’s pods. A user interacting with one or more containers within a pod should not need to be aware of which specific pod they are working with, especially if there are several pods being replicated. There are several types of KaaS pod options, each essentially doing the same thing, but doing it in different ways. A ClusterIP service organizes and connects pods from within a Kubernetes cluster. A NodePort service delivers pods to external traffic by forwarding user traffic from a port on each node of the cluster to the container port. LoadBalancer services also delivers pods to external traffic as NodePort services do, but also provides a way to balance traffic loads. Is KaaS Right for My Team? Implementing Kubernetes is tough, and teams gearing up to launch KaaS should keep a few important considerations in mind. Kubernetes pod clusters have a tendency to fail when first being built. For the most part, the built-in Kubernetes features will help you resolve issues with resources such as storage and monitoring. You need to provide persistent and reliable cloud storage, while also monitoring for any network issues or hiccups. It is easy to get caught up in deploying and scaling your successful KaaS workflow, but that can also leave your team open to DoS attacks. When building, grant users permissions according to their business needs. You may want to consider dividing network traffic that is not related to protect your clusters. KaaS allows teams to scale rapidly, so be sure to take advantage of the automation opportunities—especially if you are running large clusters. KaaS is supposed to save your team time and bandwidth. If you’re not seeing improvements, you may need to reflect and adjust your processes. How Can My Team Implement KaaS? KaaS can be customized and built to fit the wildly different needs of your application or your engineering team. Enterprise teams, for example, can manage large networks of pods and easily label bigger clusters of pods while automating services to fit their needs. Smaller teams, on the other hand, can focus on just a few pods at a time and set different labels to corresponding clusters. Deploying KaaS first begins with identifying a Kubernetes controller. This requires developers to define a set of managed pods and set a corresponding label. A label is just the value that is attached to any Kubernetes resource. Labels can be attached to resources, like pods, when they are created, or added and modified at any time. Any resource can also have multiple labels. Once resources are labeled, developers must then manage a Kubernetes controller. This organizes a set of pods to ensure that the desired cluster is in a specified state. Unlike manually-created Kubernetes pods, KaaS pods are maintained by a replication controller. KaaS pods are automatically replaced if they fail, get deleted, or are terminated. There are several controller types, such as replication controllers or deployment controllers. A replication controller is responsible for running the specified number of pod copies— or replicas— across your team’s clusters. A deployment controller defines a desired state for a group of pods. It creates new resources or replaces the existing resources when needed. Either way, the flexibility of KaaS gives DevOps a wide spectrum of potential use cases. Kubernetes as a Service is still a new relatively new offering with plenty of opportunities for teams to build microservices to fit their business needs. 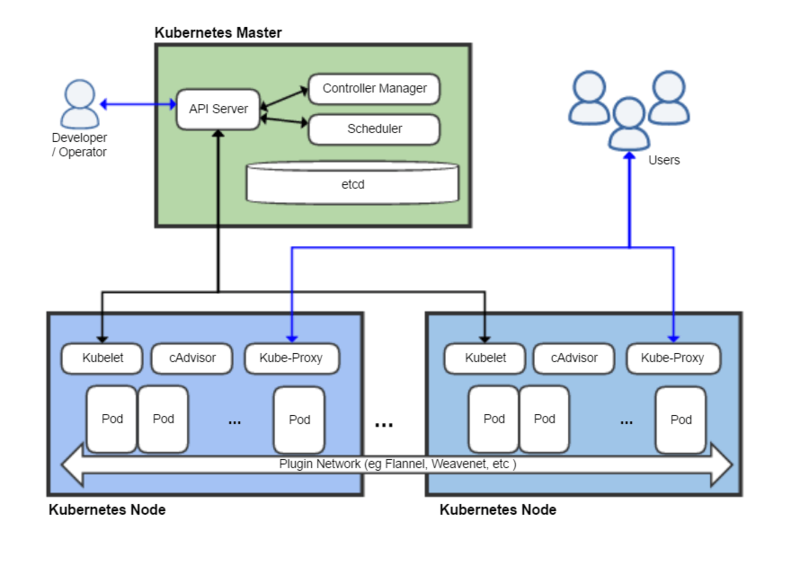 Alongside the open expanse of potential workflows, the Kubernetes community is also a growing resource, with teams from all over the world building tools to aid DevOps teams at every stage of KaaS deployment. Teams looking to implement KaaS should ensure they have the resources, time, and information to build specific processes that will help them achieve their ultimate user goals.